Mommy has a Moment with a GOOD BOOK! From tears of “I can’t read that!” and a poor curriculum…to a teacher who used simple phonics instruction and contagious inspiration to develop the love and enjoyment for reading, that has brought me to a time now, as an adult, that I love to sneak in a few relaxing moments occasionally to leave the everyday and soak up a good book like the one I found during a recent book review – The Secret Bridge from Lamplighter Publishing. Lamplighter Publishing, under the direction of Mark Hamby has been committed since 1999 to placing books into the hand of readers that not only inspire, but harken back to a time when religious instruction and a relationship with God was foremost in the home. Now 130 titles have been published that challenge and draw readers of all ages toward further commitment to Christ. Not long ago, we were privileged as a family to hear Mark Hamby share his testimony and the vision that sparked Lamplighter Publishing. Since then our kindergartner has enjoyed their audio dramatic production of “Teddy’s Button.” With this first-hand knowledge already in our pocket, I was thrilled to accept another of their publications for review, the new The Secret Bridge by Amy Le Feuvre. And so…without further adieu…it’s time for a Mommy Moment with a good book! As you hold the beautifully bound volume for the first time, you can’t help but allow your hands to flow over the etched design of the heroine and wonder with eager anticipation what will come of the “secret bridge” that must be a part of her story. With page one, Bridget Channing captures your emotions as you come to realize her desperate plight in life since the death of her father who unknowingly left her destitute and without any aid in a time when most women of respect were quite dependent upon male leadership and social standing. Yet, with the introduction of Godfrey Bullingham, circumstances are sure to change quickly for Bridget as she not only accepts his friendship but, somewhat unwillingly, far more. Without giving away the “secret” of this romantic drama, I can tell you that Bridget undergoes waves of challenges and changes in her life, but a certain lay preacher named Mr. Jocelyn sets her to climbing a ladder to the Lord that serves as the answer to not only Bridget’s life but all those impacted by her story. The reader will quickly discover that in this novel, the Bible is not some add-on or underlying element but a vivid, bold witness woven throughout with clear Scriptures and Biblical application central to the storyline and fitting even for today’s readers. This is surely a page-turner that you will be forced to complete quickly or you will be quite unsatisfied each time you put it away. Be sure to set aside that time for a good book, let yourself enter the world of Bridget Channing, and be ready to be challenged in your spiritual walk with Christ. 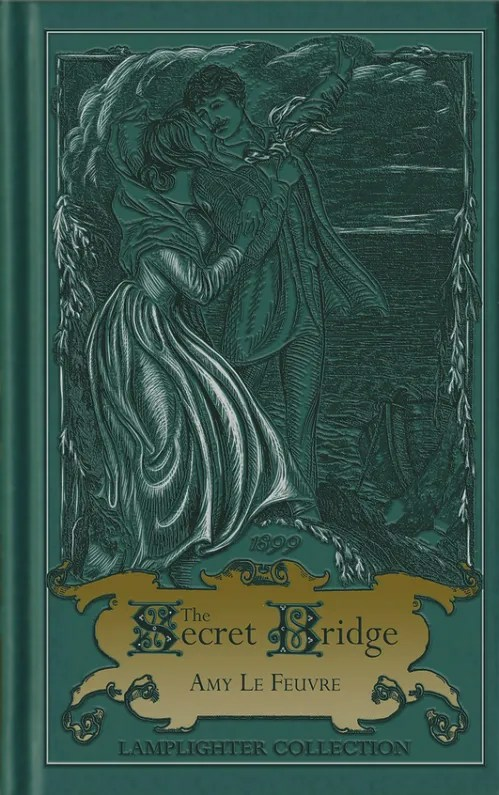 Rarely do I feel able to fully endorse a specific product, but with great enthusiasm, I urge you to make The Secret Bridge your next novel choice!